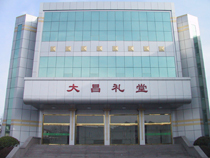 Shandong Gaomi Dachang Textile Co., Ltd. was founded in March, 1985 and became a large-scale state-run stock enterprise in 1999. Covering an area of 200,000sqm, we have 3,000 staffs, 130,000sqm of buildings and CNY 700 millions of assets; moreover, we have the I/E license. Equipped with 150,000 spindles, 200 sets of imported air jet looms, 100 sets of K88 rapier looms, 1,500 sets of shuttle looms, the national leading clean-comb production line, OE spinning machines, V-shaped bobbin creel warping machines, automatic winders and sizing machines, we now can annually produce 20,000 tons of yarns and 80 million meters of fabrics, including rayon yarns, T/C yarns, polyester/viscose, top-grade polyester/viscose artificial wool garment fabrics,top-grade pure cotton high count & high dense yarns, functional fabrics, pure cotton yarn, high count combing yarns,and so on.Our "Pengli" serial products are approved as the famous brand of Shandong province. Moreover, we are the material supplier of several large-scale garment manufacturing enterprises; we offer them all kinds of top-grade fabrics in good prices. Our products got the certificate of ISO9002 quality system; they were approved as "exemption products from inspection" by Shandong technical supervision bureau and awarded as the "quality products" of Shandong province. Now, our products are well sold in over 20 countries and regions in Southeast Asia, Europe and America; we can export USD 20 million and sell CNY 800 millions of products every year. As the subsidiary of our company, Gaomi Dachang Non-woven Cloth Co., Ltd. has 2 national leading non-woven cloth production lines. According to your demands, we can offer you all kinds of functional fabrics, including all colors, antistatic fabric, anti-ageing fabric, antibacterial fabric and hydrophilic fabric, etc. Our products are non-toxic and odorless fabrics, with light weight, good softness and good gas permeability, and they are very mild to skin; moreover, these fabrics can offer good resistance to mildew, or good ability to insulate the bacteria and worms in water. With these excellent performances, our products now widely used in medical treatment, sanitation, health care, garment, shoes, industry, agriculture and tourist industry, etc. 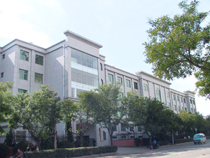 Every year, we can produce 5,500 tons of non-woven cloths, 80% of them are exported to USA and India, etc. With the supports and helps of our customers all over the world, we have got good economic benefits in past years. Now, we are one of best earning companies in our city and one of top-10 exporters in Weifang city; moreover, we have got other honors too, including "Civilization enterprise of Weifang city", "Good exporter", "Trusted Company of Shandong province “and?Brilliant star". Over 20 years' hard work, we have combined our management system with our development through adopting scientific business decisions and strict operational measures. With the development of our business, the profits of our company were being increased year by year, and our benefits and staffs' salaries also rank the top-position in the industrial enterprises in our city. Now, we are the leading company and good taxpayer of Gaomi city.